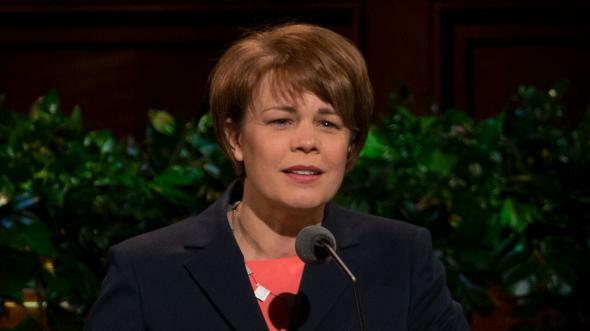 My beloved sisters—you who belong to the worldwide sisterhood of the Church and you who are yet to become members, you who are women and you girls who are yet to become women, you who are now mothers and you who are yet to become mothers—despite our varied backgrounds and our differences in status and standing, we all are alike in one important respect. We are all sisters, daughters of God, with a common purpose, which is to return to Him with honor after our earth life. In our premortal existence we were taught the plan of salvation. We accepted that divine plan, including the privilege and responsibility of becoming daughters, sisters, wives, mothers, and grandmothers. We knew as we came to earth that we would be tested and tried to see if we would do all things whatsoever the Lord would command us. (See Abr. 3:25.) Then a veil of forgetfulness was placed on us so we would be dependent on faith in a Savior to guide us back to our heavenly home. How important is our work, sisters! And how eternal is our influence on our homes and families! The Lord is depending on us to remember Him and to teach our children to remember Him, so that they are prepared to teach their children to remember Him, that we all may regain His presence in righteousness. The proper nurturing and teaching of our children must be our first priority. What mother would not want her children to experience joy and happiness in this life and in the eternities to come? There is always sacrifice required when working toward long-range goals like striving toward an Olympic gold medal, a mark of excellence in school, a flawless performance, or other extended efforts. Raising children is no different. The adversary, who is the enemy to all righteousness, seeks to thwart the efforts of the Lord’s people. His deadly forces are arrayed against our homes. He plans every move with accuracy and precision. There is nothing haphazard or careless about his plan. Then, can there be anything haphazard about our plan and our efforts to teach this generation in righteousness? How can we be fortified in teaching the truths of the gospel to our children and in helping them remember they are a royal generation, chosen from the foundation of the world? A loving Heavenly Father knew we would need help to learn again the basic things we had once been taught in the heavenly councils. So He gave us the gift of the Holy Ghost to bring all things to our remembrance, and living prophets to direct us. 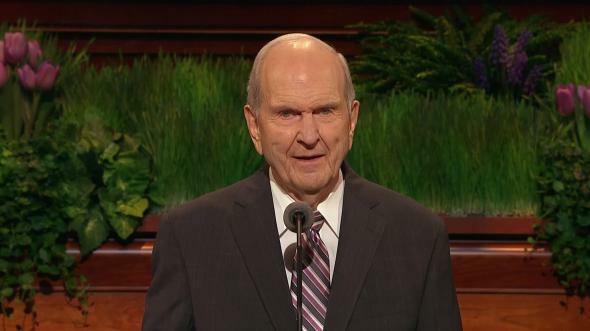 He also provided scriptures to teach us, commandments to help us become like the Savior, and covenants to remind us of our solemn responsibility to remember Him. Let’s consider how the scriptures, commandments, and covenants can fortify us in our efforts to return to Him. 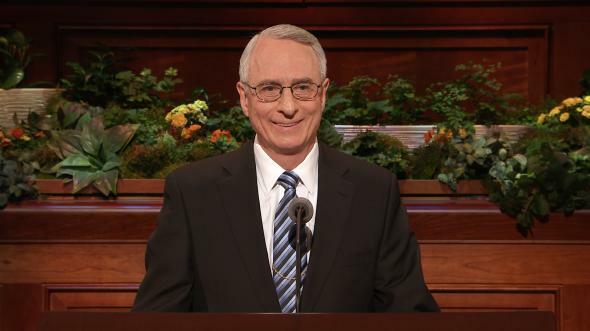 We Can Remember the Lord through the Scriptures. The scriptures have been written and preserved at great cost so that we can “treasure up” the truths of the gospel. We have a responsibility to know what these scriptures contain. If we treat the scriptures lightly, letting them gather dust on the shelves, unopened and unread, they are unable to bless our lives as planned. We will be denied the sweet whisperings of the Spirit in guiding our lives and the lives of our families unless we pay the price of studying, pondering, and praying about the scriptures. 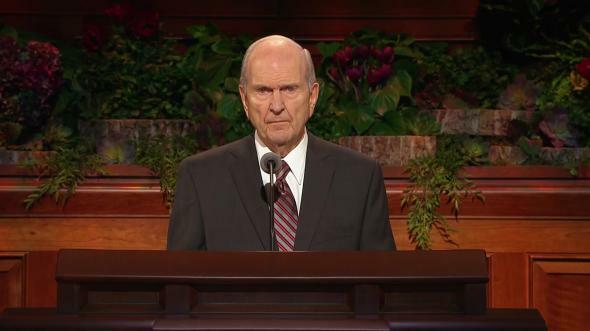 If we immerse ourselves daily in the scriptures, particularly the Book of Mormon, we will have increased discernment. We will have power to do good and to resist evil, and our ability to solve problems will be expanded. 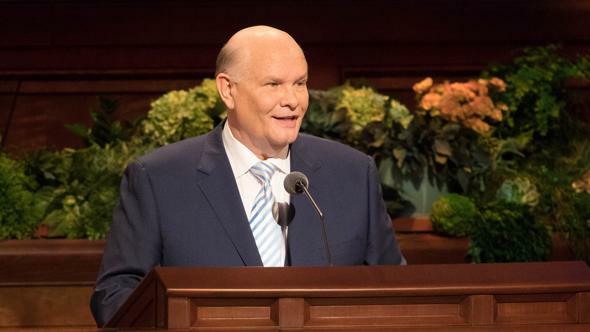 Messages to help us in our day were foreseen by the Lord and were divinely placed on the pages of the scriptures to assist us and our families. 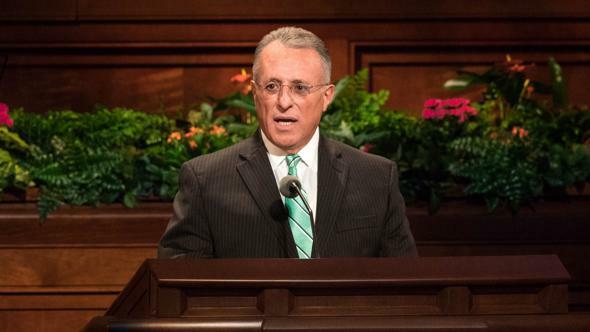 King Benjamin in the Book of Mormon set a wonderful example of how parents should teach their children from the scriptures, as found in Mosiah 1, beginning with verse 3. Note how many times he uses the word remember. “My sons, I would that ye should remember that were it not for these plates [meaning the scriptures], which contain these records and these commandments, we must have suffered in ignorance, even at this present time, not knowing the mysteries of God. “For it were not possible that our father, Lehi, could have remembered all these things, to have taught them to his children, … that thereby they could teach them to their children, and so fulfilling the commandments of God, even down to this present time. We Can Remember the Lord through Keeping the Commandments. We have been given commandments in order to help us draw near to the Lord and eventually to become like Him. “How gentle God’s commands! How kind his precepts are!” (Hymns, 1985, no. 125.) Is it any wonder that His love for us shows through His rules for us? Might we as parents use this as the manner in which we teach our children? The Lord has told parents, “And thou shalt teach [the commandments of God] diligently unto thy children, and shalt talk of them when thou sittest in thine house, and when thou walkest by the way, and when thou liest down, and when thou risest up.” (Deut. 6:7.) I might also add, when thou ironest thy clothes, when thou makest thy beds, and when thou plantest thy garden—that is to say, talk about the gospel in every teaching moment. The gospel of Jesus Christ teaches us a way of life that, if followed, will help us avoid the stumbling blocks and the detours that draw us off course and beckon us to follow the ways of the world. Think of it! What a protection we have when we obey His laws such as the Word of Wisdom, the law of chastity, the law of tithing, and other commandments. Even little children can be taught the principle of security in “staying in back of the firing lines” or “not walking too close to the edge of the cliff.” Why should they offer themselves as casualties if they can avoid the danger zone? Teach them to avoid the very appearance of evil, such as not saying even slang expressions which may lead to taking the Lord’s name in vain; or dressing even a little immodestly which down the road may lead to improprieties; or partaking of substances that are not listed in the Word of Wisdom, yet are still harmful to the body; or holding back a little on tithes and offerings; or telling half-truths. 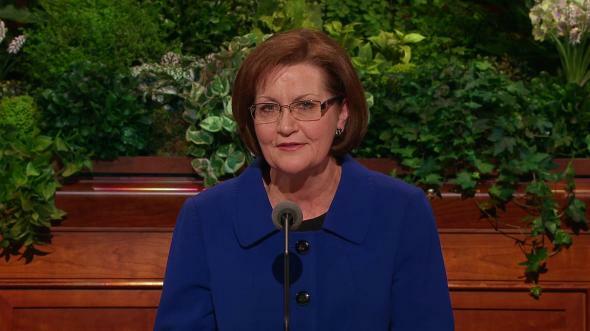 We learn from Alma that the sons of Helaman remembered their mothers’ teachings and did obey them, and performed every work with exactness. They were strict to remember the Lord their God, keeping His commandments continually, and therefore were delivered from the hands of their enemies. (See Alma 56:47–48; Alma 57:20–21.) Surely their mothers taught them truths that preserved their very lives. “But I didn’t hear you,” said the daddy. Sometimes children, being pure and holy, teach us something of our heavenly home. But as they grow, we need to remind them to walk by the rules, even though they may view them as restrictive. They will find that His yoke is easy and His burden is light (see Matt. 11:29–30) compared to the consequences of disobedience. We Can Remember the Lord through Keeping Our Covenants. Anciently the Lord made covenants with His children to help them remember who they were and what was expected of them. The children of Israel made covenants, and certain tokens were given to help them remember the Lord their God. But through disobedience they forgot, just like the Nephites forgot, and they reaped the consequences. In our day, we again have a chance to make covenants to keep us in remembrance that we are sons and daughters of God desiring to return to His presence. We have the privilege of making sacred covenants at baptism and in the holy temples, with an invitation to renew them often. 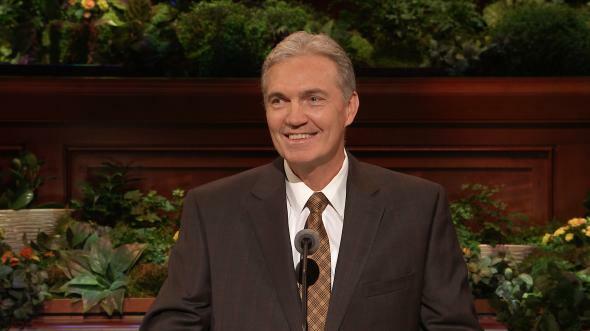 Each week we partake of the sacrament that we may “always remember him.” (Moro. 4:3, 5:2.) 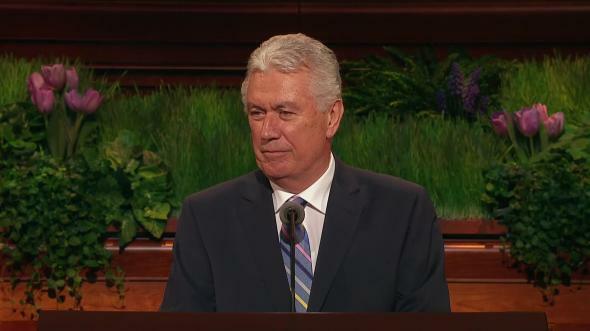 Also, returning to the temple as often as possible helps us remember the covenants we have made there. Keeping our covenants should make a difference in the way we live, the way we act, the way we speak, the way we dress, the way we treat each other. If we “always remember him,” we will “always have his Spirit to be with us.” (Moro. 4:3.) Then with that Spirit we will be viewed by the world as distinct and different in happy ways. None of us lives in a perfect home, and for most of us there is much room for improvement. 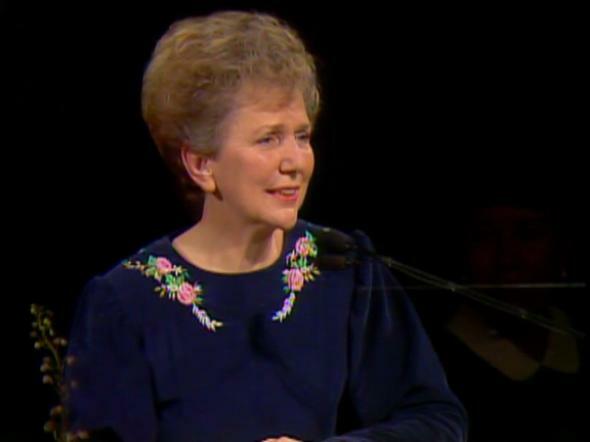 Though often unheralded and unsung, mothers can feel joy, irrepressible joy, when within the walls of their own homes each person is trying to live the gospel and to remember the Savior. What joy a mother feels when her newly baptized eight-year-old daughter bears her testimony that she is willing to take upon her the name of Christ; or when a son at age twelve refuses breakfast because he’s fasting in order to choose his counselors as deacons quorum president; or when her adult daughters eagerly enter Relief Society, the Lord’s organization for women, to learn what their mother is learning about faith, family, and service—all because the teachings have been internalized and loving the Lord has top priority in their lives. The Lord loves you for being His partner in His plan. Be of good cheer as you perform your divinely ordained task of guiding the destiny of this generation, that they may then pass the baton of righteousness on to generations yet unborn. As we go to our homes, sisters, may we ponder what has been said. How can we as daughters of God help bring souls unto Christ? How can we know and remember our Savior? How will the children know unless we teach them so? In the name of Jesus Christ, amen.